Photo of: West of Ireland: Sligo: Knocknarea: Ben Bulben. 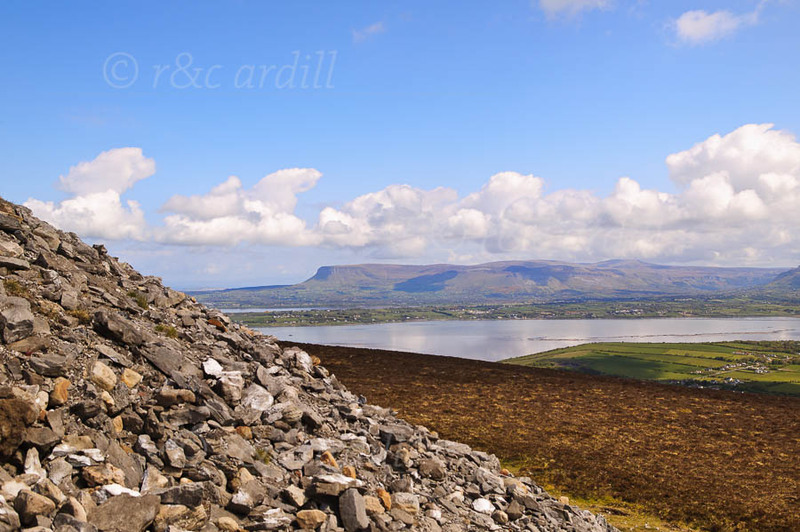 A view of Ben Bulben on the far side of Sligo bay taken from the top of Knocknarea. The pile of rocks in the foreground is the side of the Neolithic tomb known as Meabh's (or Medb's) Cairn.